I'M STILL ALIVE, HOUSTON, I SWEAR!!! For all [two of you] still reading this (hi mom! ), thank you. This long string of few-and-far-between restaurant blog posts will come to an end in a few months when life settles down for me. 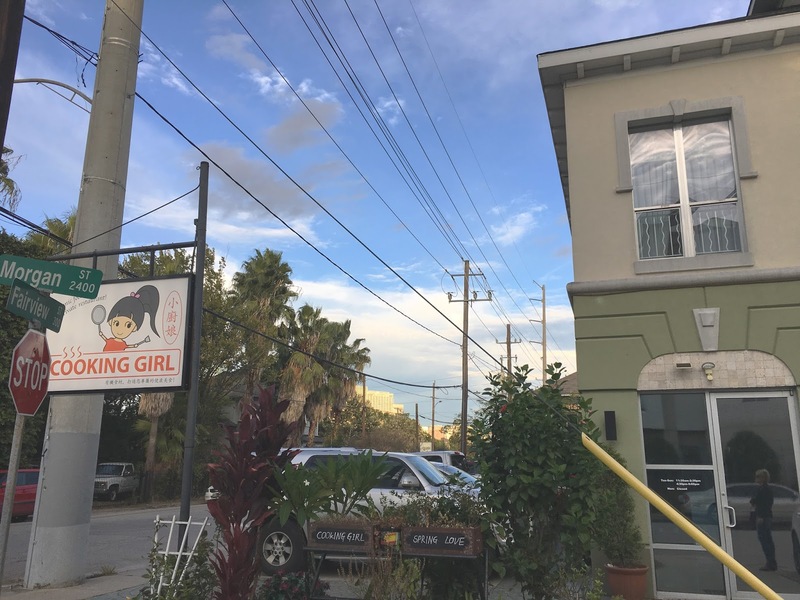 But I'm here now, and I'm here to tell you about the awesome, fabulous food at Cooking Girl - a BYOB ($4.99 corking fee, y'all!) Chinese restaurant located in Houston's Montrose neighborhood. My parents are huge fans of the restaurant, so my mom and I went a few weeks ago. When we were seated in the tiny, packed (make a reservation! 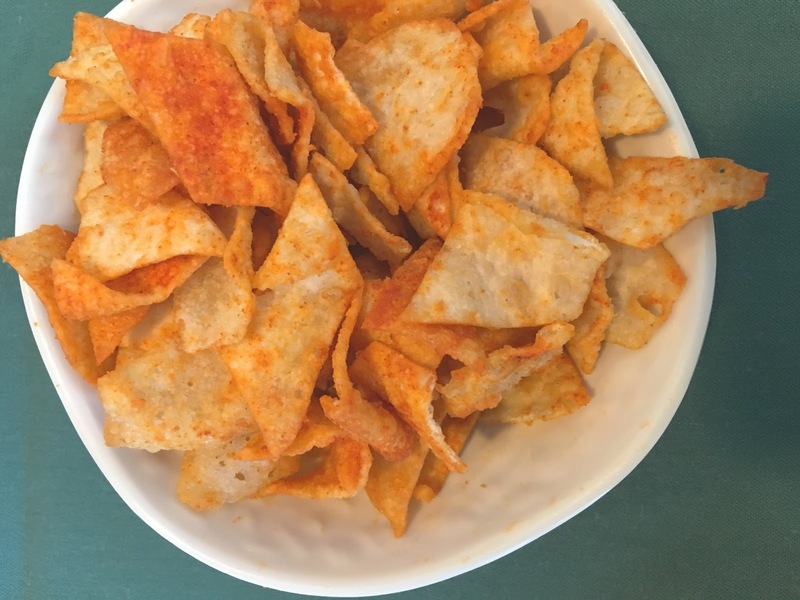 ), no-frills spot, we were presented with a complimentary appetizer of light puffy chip-like things (you've missed my super excellent food descriptors, haven't you?). They weren't exceptionally flavorful, though slightly sweet, and a nice little pre-dinner teaser. For our first course of food, we ordered (at the server's recommendation) the garlic-flavored cucumber. Unfortunately, it wasn't exactly a first round of food, in that it took quite a bit of time to come out, and it when it finally did come out, it was about a minute before we received our entrees. All that aside, the dish itself was pretty darn good. As a general rule, cucumbers make me feel dead inside, but I was glad I trusted our server on this one! The sauce that the crisp cucumbers were swimming in was super garlicky, with a lovely oily, syrupy feel. There was definitely chili in there, and it also packed some serious heat! I don't know if I'd order it on my next visit (since the whole cucumber/dead inside thing), but it will be on my regular rotation of food items to order there for sure. Oh but you know what I will order EVERY. SINGLE. TIME? 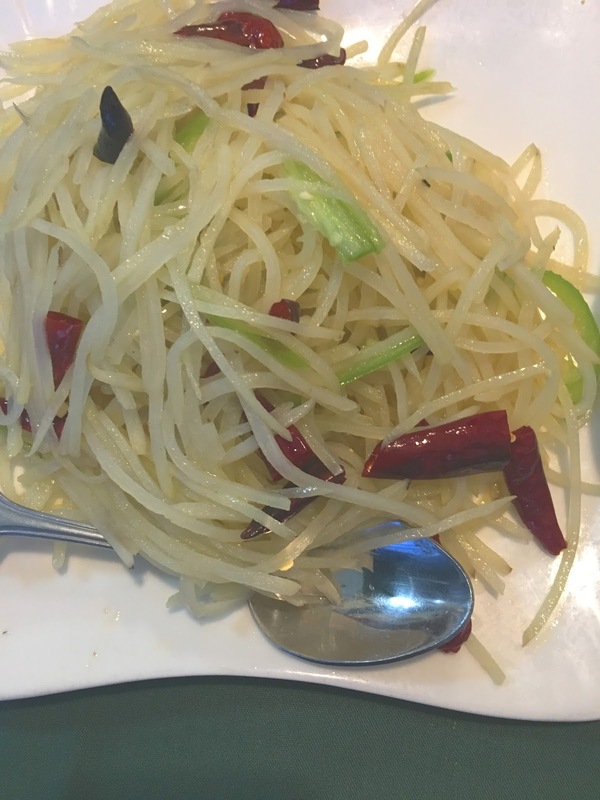 For our main course of food, my mom and I split two items - one of which was the pepper potato silk. People rave about this dish, and WOW. Potatoes are delicately peeled into noodle-like strands and cooked ever-so-simply in oil and peppers. This fine dish also had some MAJOR heat, and I cannot convey just how multi-layered and incredible it was. Eating it was a beyond-delightful, jaw-dropping experience. I seriously have not stopped thinking about this dish for the past few weeks, and it will definitely be in the running for my top 10 favorite dishes of the year! The other entree we split was the restaurant's mabo tofu. I requested for the dish to be made vegetarian (I believe it normally comes with pork), which was no problem. Once again, my mouth was on fire, and once again, I loved what I was eating. Served with a side of steamed white rice, the sauce was on trend with the other dishes and perfectly oily. It was hartier, earthier, and thicker than the other two sauces and had *slightly* more of a gel-like consistency. Typically I'm more a fan of firmly cooked tofu, but the softness of this tofu was a welcome alleviating contrast to the über spicy (yet welcome) attack on my tongue. Even my mother - who thought she didn't like tofu - was a fan! 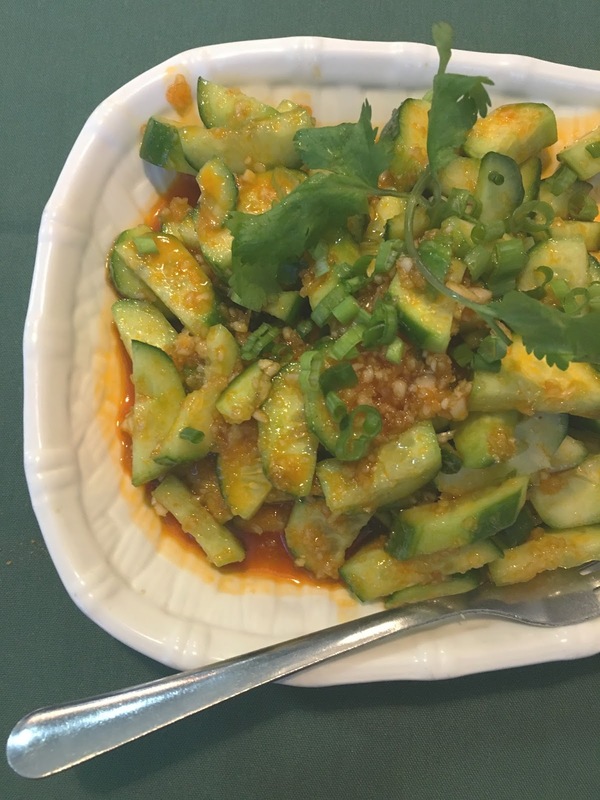 Cooking Girl is a no-frills, super affordable authentic Chinese food restaurant in Houston. And for all of you Houstonites who love to sweat over the spiciest of foods, take heart! This place is for you. Even with the slight timing issue with the courses, the service was great, and the food was super impressive! And hello, you had me at "BYOB."